Google continues to promote the Google Assistant app with a new commercial, which highlights that, with this smart assistant, a million things are made easier, like getting things done while your hands are on the wheel. The 15-second spot, soundtracked by John Legend’s newest single “A Good Night”, encourages viewers to make the most of their commute by asking Google to play music, find destinations, and read text messages. This is just the latest from a long series of ads aimed at showing the many things Google Assistant can help you. The tech giant has also tapped several celebrity figures, including Kevin Durant, Sia, Chrissy Teigen and John Legend, to star in dedicated ads. Golden State Warriors small forward, for instance, worried not to miss the Royal Wedding (the wedding of Prince Harry and Meghan Markle, which is due to take place on 19 May 2018 at Windsor Castle in England), asks Google to set an alarm while he’s lifting weights at the gym, Sia uses it to set a reminder to order flowers for her assistants, and Legend and his wife use it to search for a TV show. A 90-second spot, including all the above mentioned stars, aired during this year’s Oscar Awards show. 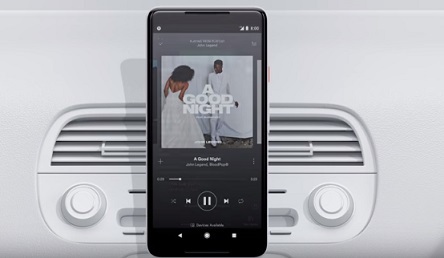 John Legend’s new song, “A Good Night”, for which the musician partnered with producer BloodPop, has a special music video, produced in conjunction with Google and filmed by director Mishka Kornai entirely with 23 Pixel smartphones.